If you missed our previous post, you may not know that this week we are spreading our love for fats, and teaching you how you can choose the good ones, and get rid of the bad ones, to help reduce the risk of disease. Check out the introductory post here! Monounsaturated fats are known for their heart-healthy properties. They support cholesterol levels by reducing LDL, the lipoprotein that deposits cholesterol in the arteries, and they increase HDL, the lipoprotein that takes cholesterol from the arteries to the liver to be broken down. One of the best sources of monounsaturated fats is olive oil—think about how famous the Mediterranean diet has become as the symbol of a healthy diet. 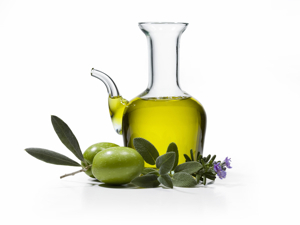 If you are consuming olive oil, look for a brand that is extra virgin and first cold pressed. This will ensure the oil is of the best quality, and therefore will provide the best health benefits. Olive oil is heat sensitive, so if you are cooking with it, keep it at a low to medium heat. Try drizzling extra virgin olive oil on fresh steamed veggies with sea salt, pepper, and a squeeze of lemon—it’s amazing! Another source for these heart-healthy fats is avocados. True, some people are scared of them because they are more than 80% fat, but by now, if you have been following along, you will know that avocados contain good fats that support our health. So enjoy some fresh guacamole, it’s okay! Remember, always enjoy in moderation, too much of anything is a bad thing. Tip: Skip the mayo and all the inflammation that comes along with it. Try spreading some avocado on your sandwich instead, it is amazingly creamy and your heart will be grateful!